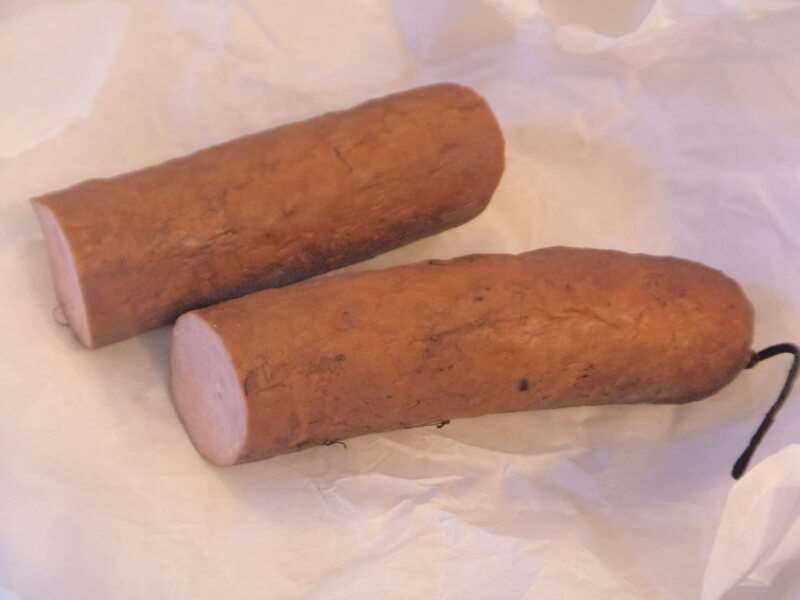 Double-smoked garlic spiced kolbasa from Andy's, about $3 worth. 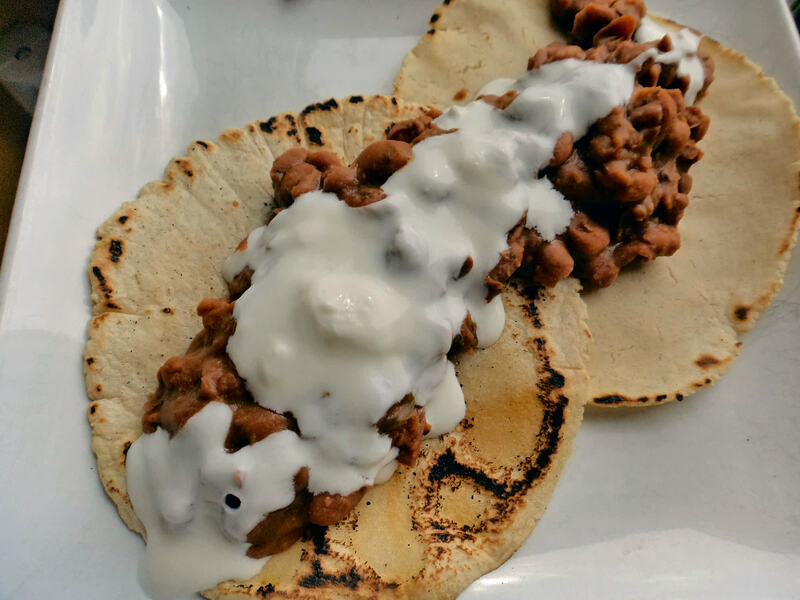 Bean with sour cream on homemade tortillas. 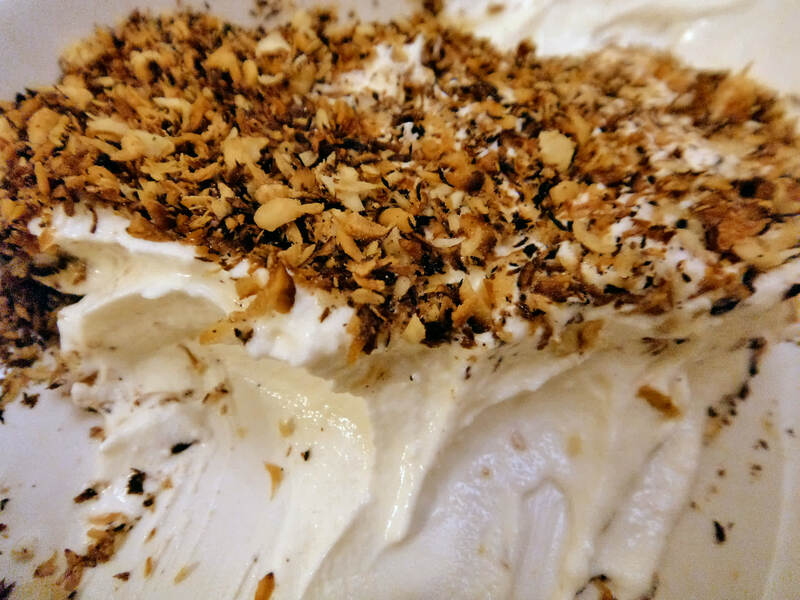 Toasted and crushed almonds on top of creme fraiche. 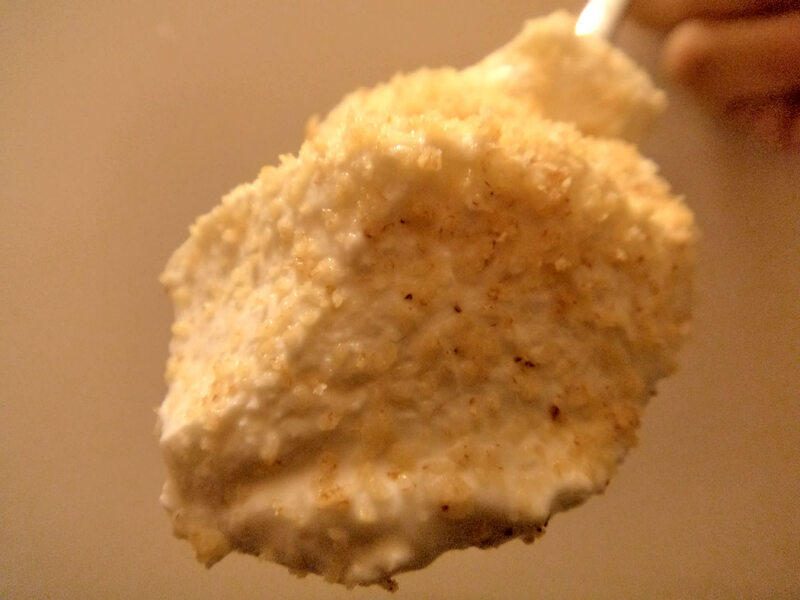 Grated brazil nut on creme fraiche. 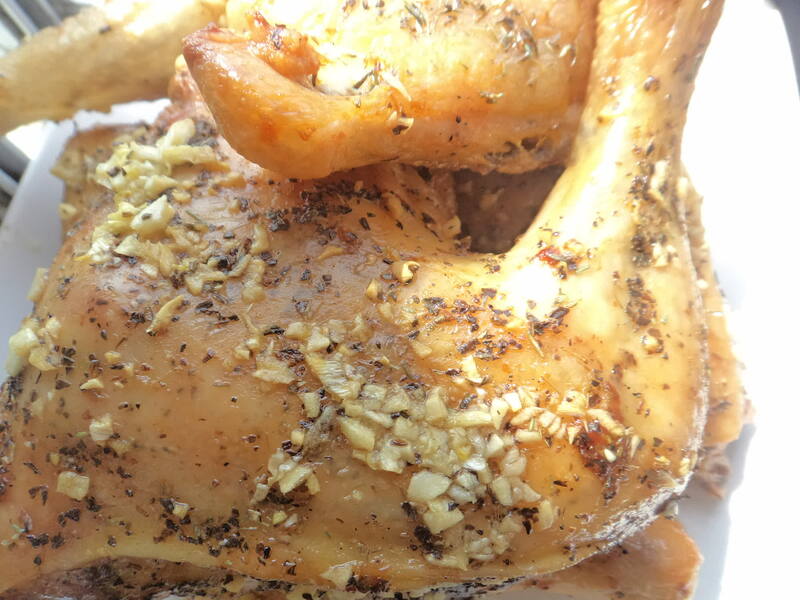 Roasted chicken stuffed with lemon, basted in butter and garlic. 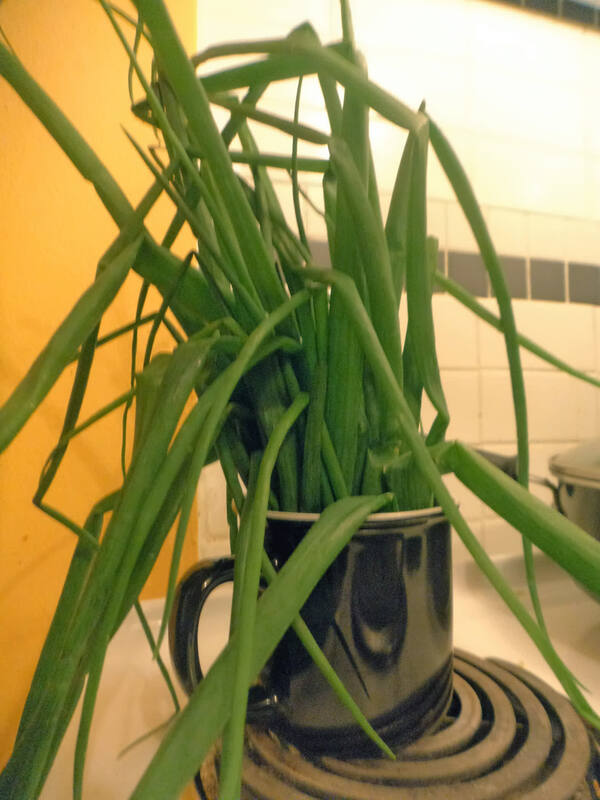 Green onion tops - 2 very large bunches of onion $1 each in Chinatown.